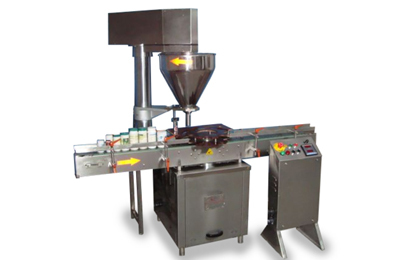 There are two separate filling head mounted on machine top plate in the same line. 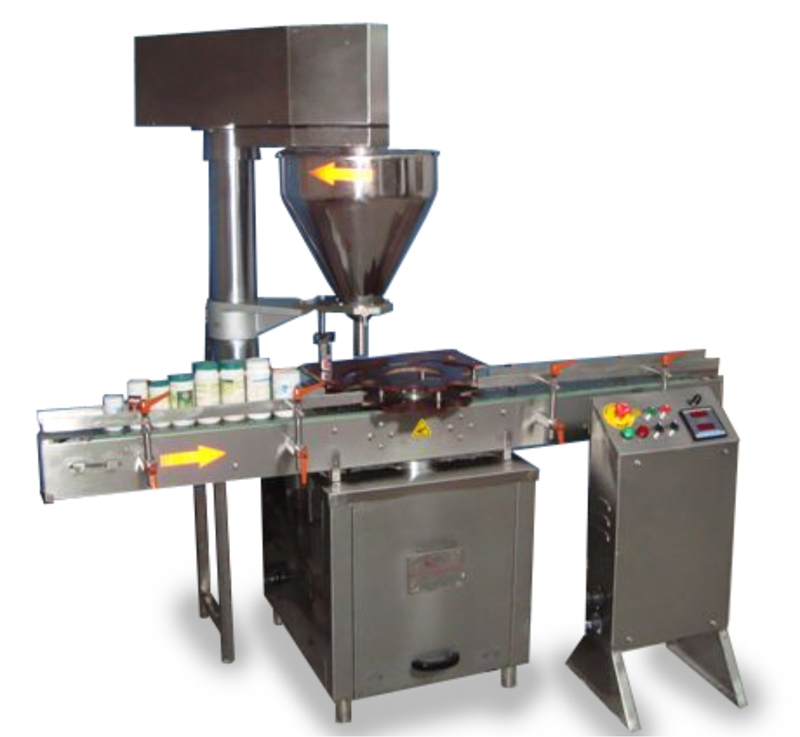 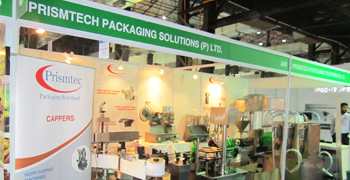 Powder Filling Machines which are mainly used to fill powders in containers or pre-madepouches. 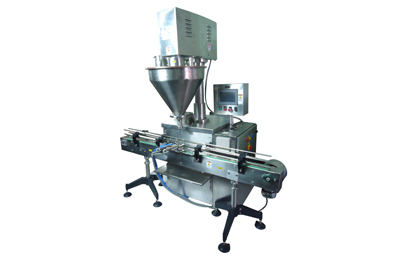 simple maintenance and are used in different areas such as Pharmaceuticals, Food Supplements, Food Colors, Powders, Tea, Coffee and Talcum Powder. 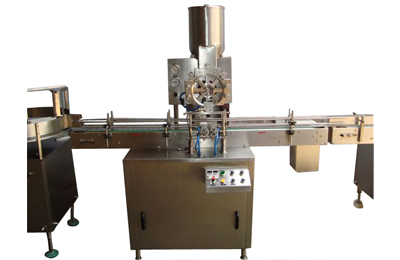 Powder Filling Machines which are mainly used to fill powders in containers, such as Pharmaceuticals, Food Supplements, Food Colors, Powders, Tea, Coffee and Talcum Powder. 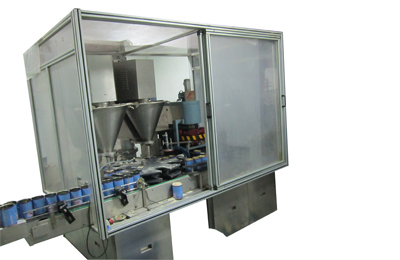 Powder Filling Machines which are mainly used to fill powders in containersWhen bottle reaches to the first filling station, it will be held by the pneumatic bottle holder. 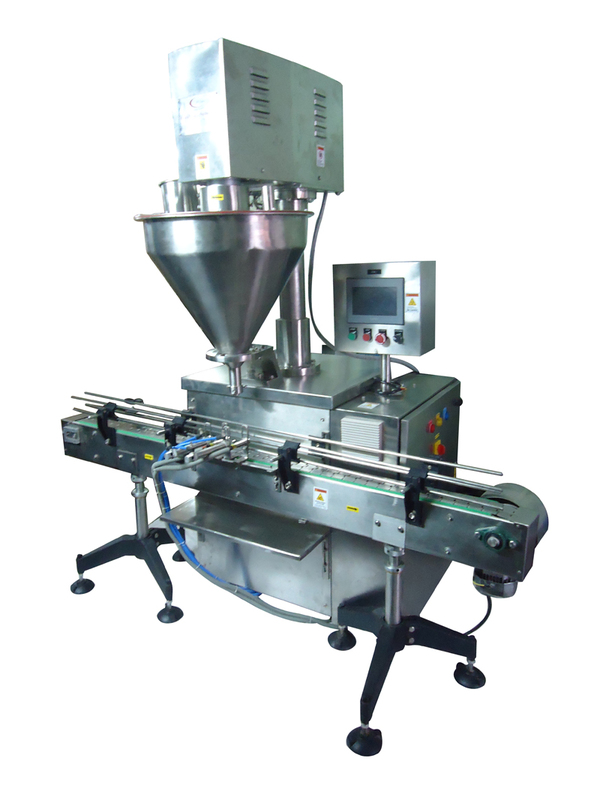 Immediately it will be sensed by the bottle sensor as soon as it gets signals from sensor magnetic clutch starts to rotate which is mounted on auger shaft. 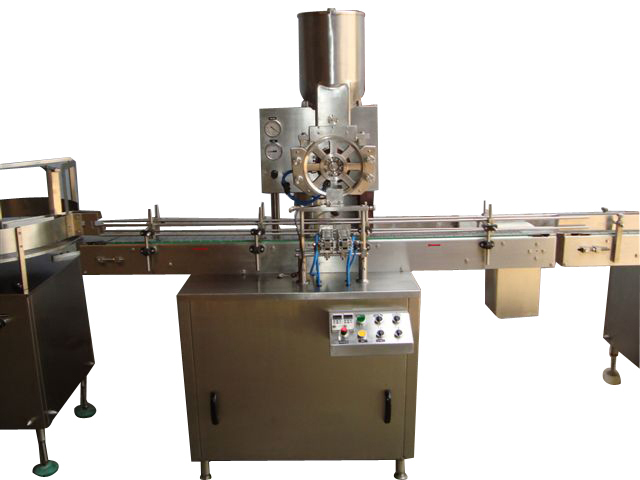 The bottles consistency to the rotary start – stop machine. 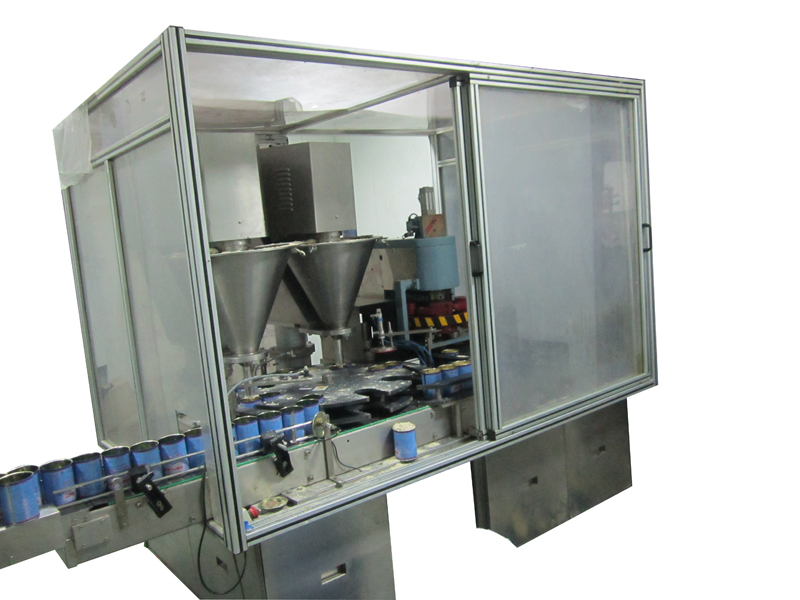 These empty bottles arrive on to the start plate which indexes the tubes to the powder wheel where dosing of powder takes place.